A college education is the KEY to your future, which can be anything from a one-year certificate to a four-year degree and beyond. This week at the ALC, we are hosting our Utah College Application Week (UCAW), which acquaints all our students with the importance of preparing for and attending college. At the ALC, yesterday and this Friday (Nov. 9th), we are specifically helping our seniors in our ENGL 1010 courses, to complete and submit at least one college application, as well as learn about college admissions, scholarships, and the Free Application for Federal Student Aid (FAFSA). 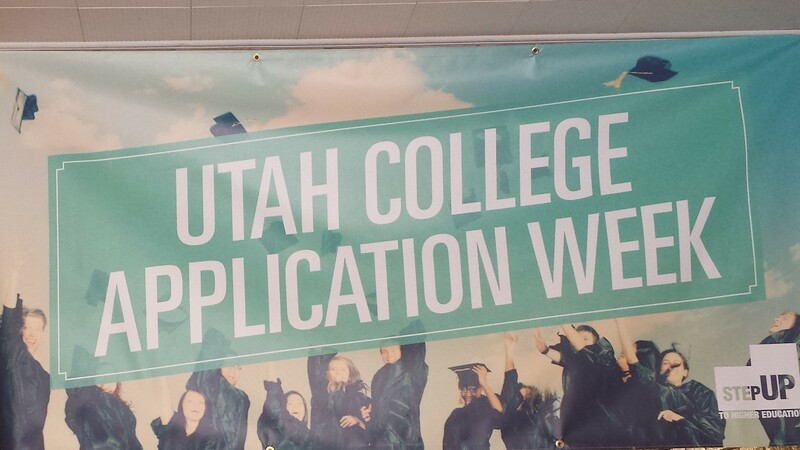 If your senior is not in our ALC ENGL 1010 course, they will be participating in Utah College Application week back at their home high school either this week or next week. We ALSO encourage ALL Seniors to attend an upcoming Financial Aid Night to get help in filling out the FAFSA application and to answer any questions.